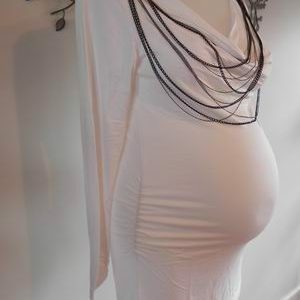 A lovely soft cotton voile shirt by Ninth Moon maternity, featuring a tie back and lovely pin tucks. It has a real vintage feel. The fabric is lovely and soft and there are also buttons through the front, 3/4 sleeves with buttons and side splits. 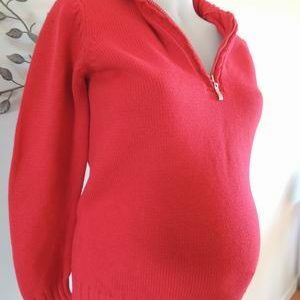 Perfect to be worn during and after pregnancy. Be the first to review “NEW White Cotton Voile Maternity Shirt” Click here to cancel reply.